No one wants to see a dog caught in a trap intended for a marten or a wolf. But it happens every year. Many of Alaska's communities are adjacent to prime wildlife habitat. Trappers are drawn to these areas, as are dog walkers, snowmachine riders and hikers. Some residents close to these areas allow pets to roam free, and pets sometimes wind up in traps. To address this issue, the Alaska Trappers Association has produced a 30-minute video, "Sharing Alaska's Trails." The video doesn't show dogs caught in traps, or feature any footage that pet lovers might consider disturbing. It doesn't promote trapping, but deals with the practicalities of sharing the trails. The video highlights signs that a dog walker might see if he or she was near a trap line, such as survey tape or flagging and piles of bait. Trappers sometimes post notices alerting others to the presence of their line. 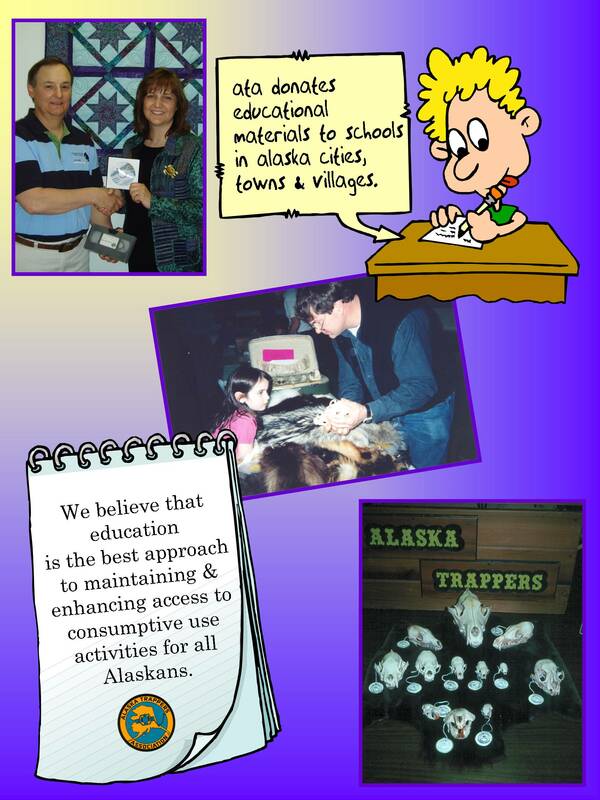 The video grew out of trapping-awareness seminars the ATA has delivered in various Alaska communities. As time progressed, it became apparent that more outreach was needed. It's not always feasible to have a warm body in place to speak to groups in Alaska's far-flung communities. Some groups request that an ATA representative show the video, then answer questions, and others just want the DVD. Anyone wishing to request a seminar from the trappers association or to view the DVD can call (907) 457-1774 or e-mail info@alaskatrappers.org. The DVD can be purchased for $15.00 (plus shipping & handling).